Walk in to any organisation and see the number of tables and charts being created on a daily basis. Businesses need to document several items and create spreadsheets for the purpose of tabulation. 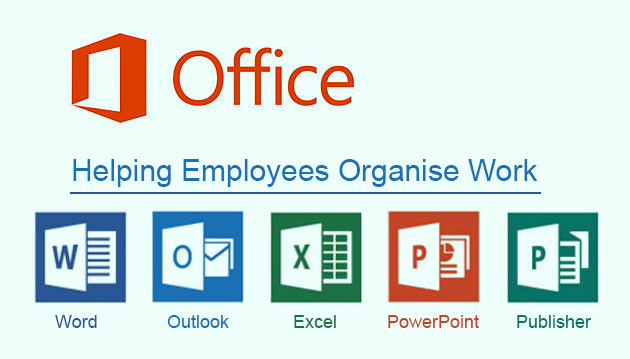 For this reason, it is important for employees to be familiar with Microsoft Office. This can be done by attending an MS Office Training course at a reputed training institute. There are different features of the various applications in MS Office. MS Word is the most popular application, used to write reports, articles and blogs. Any information that needs to be documented can be entered here. Word itself possesses many features to enhance the document, such as different formats, text colours, tables, charts, text highlighting, borders and many more. Another application commonly used in companies is MS Powerpoint. With the help of Powerpoint, presentations can be prepared to show to groups. Excel is an application for preparation of spreadsheets. Tabulation of prices and items in stock can be created here. For example, the Purchase department of a hotel would need to take stock of items on a daily basis. Excel would be most suitable here. MS Access is an application created to prepare databases for small and medium enterprises. Advanced data analysis can be done with macros. Additionally, queries can be written and reports can be obtained. An email client that can be configured as per needs of servers, whether Gmail, Yahoo or any other, is MS Outlook. With the help of Outlook, you can access emails even when offline. One can prepare notes and organise them using MS One Note. Let us explore MS Word to better understand its functions. Starting from the way one organises a page to the writing, there are features for the enhancement of all. There are different tabs at the top, namely home, insert, page layout, references, mailings, review and view. In addition, MS Word can also receive plugins from other software such as Acrobat Reader. With the home tab, you can indent text as per your alignment needs. For all the text to be aligned together, there is also an option to justify. Colour of text can be changed through this tab. Text can be made bold, in italics or underlined. Spacing within the entire document can be set as per a standard parameter. Text is written as per different fonts. Any one of these fonts and its size can be selected for your text. To highlight certain points, it is possible to use bullet markers. One can even number the points with 1,2,3 and so on. So there are several features in MS Word that can help you create the perfect document. Know more after completing an MS Office course. Take up Windows Server 2012 Training and Work as an In-demand Administrator All your Life!